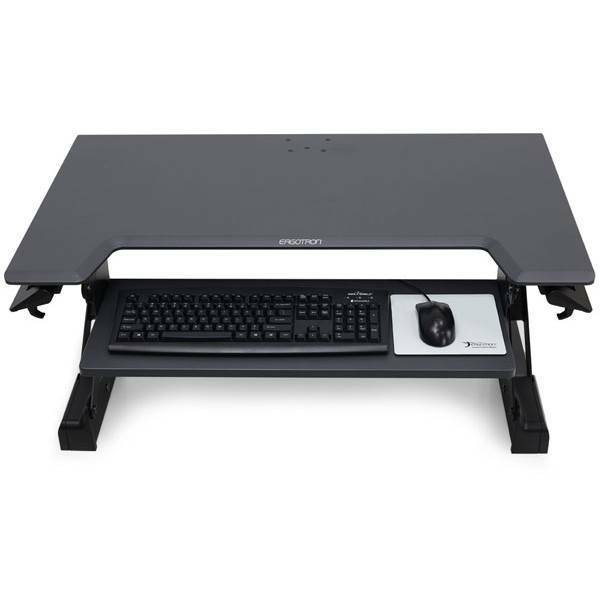 An Ergotron Sit to Stand solution that requires not mounting or clamping to existing desk. 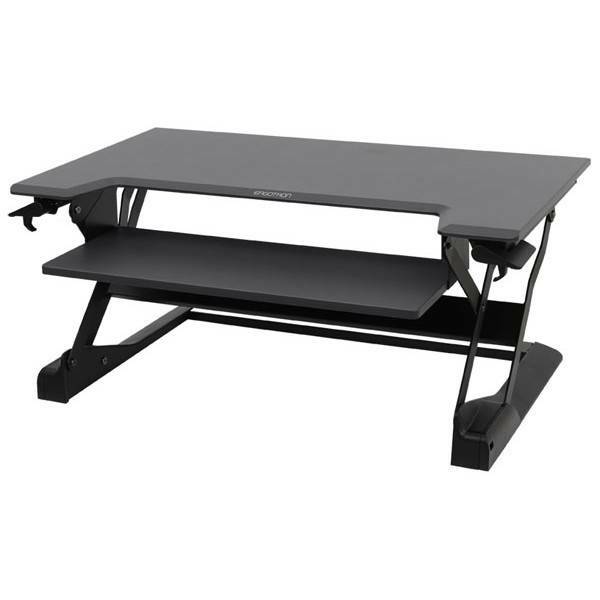 The Workfit T present an innovative and easy Sit to Stand option as it effortlessly converts a tabletop into a healthy workstation. 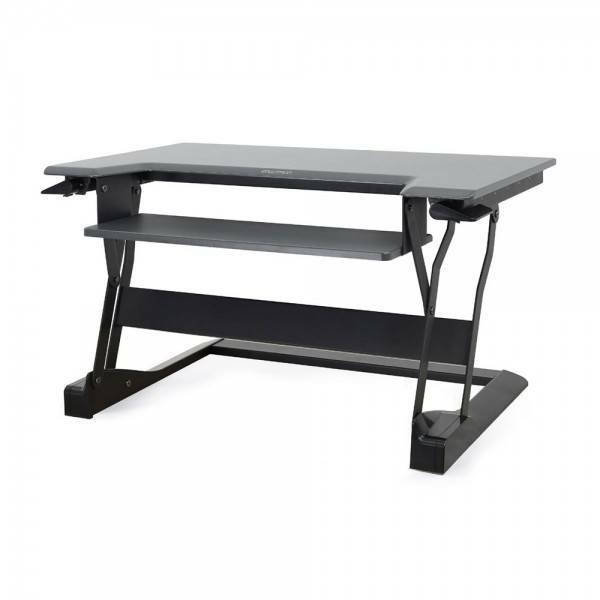 The Platform is exceptionally stable throughout its up and down motion to the point where you are able to lean freely on Workfit without worrying that the height will drop or tip over. 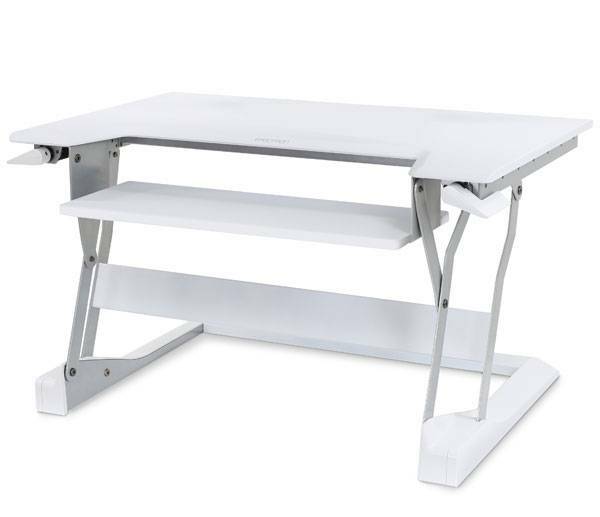 Workfit T ships fully assembled and no tool adjustment is needed.The Workfit T simply just places onto a pre-existing desk without any clamping or drilling required making it a great option for those tricky corner desks. Keyboard tray dimensions: 64 x 28 cm.